Montgomery Stire Partners has created and produced many highly visible and successful branding campaigns for national and regional clients. 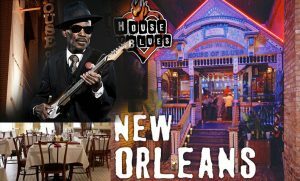 Some of these include branding for the city of New Orleans Tourism, Starbucks Coffee Company New Orleans market entry, branding of Cirque De Soleil in the southern region of the United States and branding of the House of Blues in several metropolitan markets. In fact, the House of Blues campaign was so successful that the strategic plan executed is now the standard of their branding programs throughout the United States and the logo developed serves as a national identity of the company.